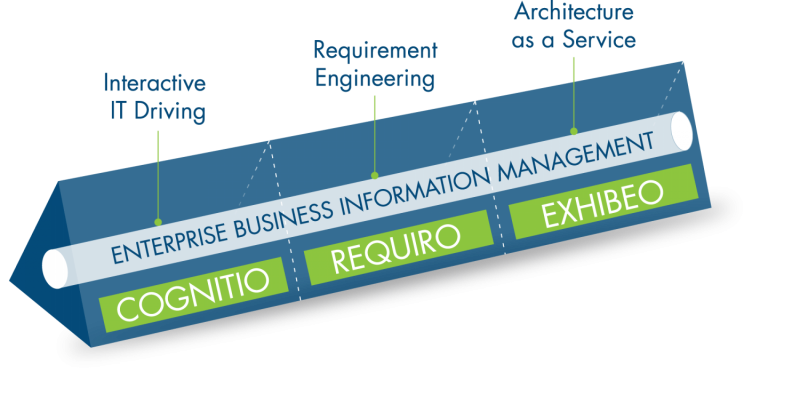 Depending on your specific needs, we can provide you with tools that can assist you throughout the Enterprise Architecture management process. They help you model, analyze and document the future state of your enterprise architecture, and relate future-state diagrams to your current business initiatives. These tools provide enough structure to enable artifact delivery. They are also flexible enough to enable customization. Bizliner makes them available – including ramp up assistance, technical support and version management – via an Architecture-as-a-Service delivery model. This means that you benefit from fast implementation time and reduced administrative overhead, and that your staff can generate ROI from day one. A master repository can greatly enhance strategy and enterprise architecture planning. Its advantages include reuse, interoperability and faster service deployment. We can work with the repository of your choice, and populate it with information about your applications, capabilities and business processes. By classifying and sharing architecture and solution artifacts, your repository helps with goal adjustment, IT standards, and application life-cycle management. Your repository also reduces problem determination time, and makes it possible for IT implementers to do their jobs faster and with confidence. Best of all, a consolidated view of you enterprise architecture can provide unexpected insights into your business and IT investments and activities.